Very unique sweetgrass bracelet with a leather lace tie with slide bead. 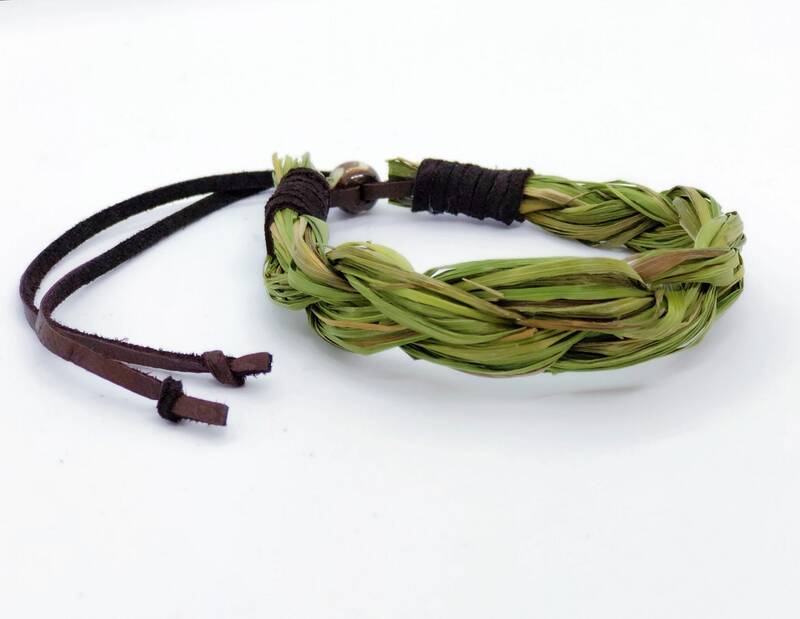 Enjoy the sweet earthy vanilla scent all day while wearing these special bracelets. 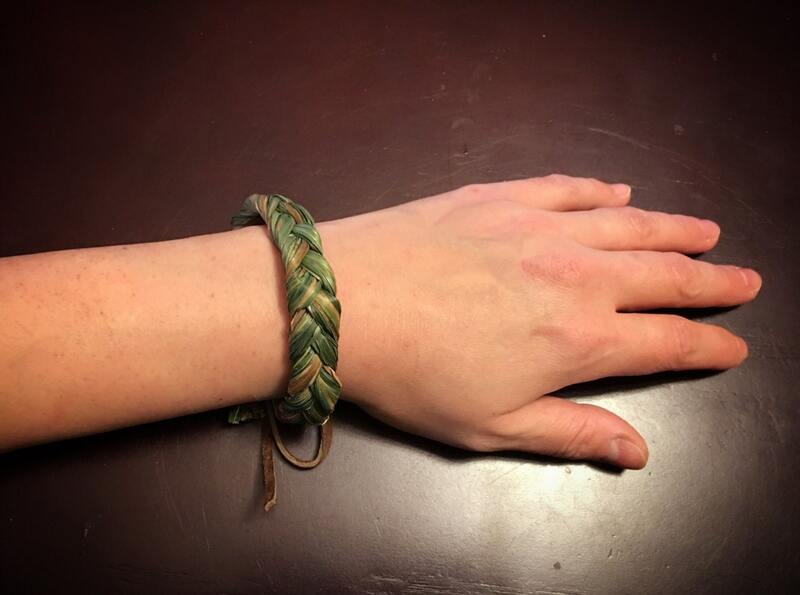 The three strands of the sweetgrass braid represent love, kindness, and honesty. The grass itself is said to bring in the good spirit and the sweet vanilla aroma reminds us of the gentleness, love, and kindness of Mother Earth. A simple symbolic item to help refocus your thoughts to the positive. Authentically Native American made by a member of the Cheyenne River Sioux Tribe, these bracelets are one of a kind. *Please note these bracelets are made out of sweetgrass and over time they will become brittle because it is an organic grass. With light to moderate wear it will last quite some time. Unique idea. Nice to have this wonderful aroma around me all the time. Love this! Fast shipping! Will buy more of these!